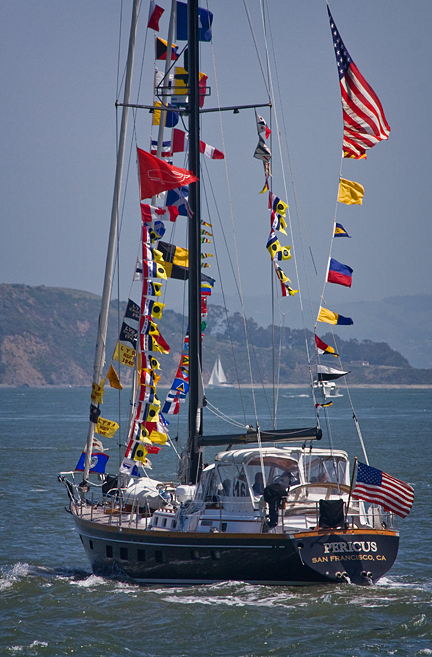 For part of San Francisco's social society, 'Opening Day' doesn't mean the start of the Giant's baseball season, instead it means the official opening of the sailing season on San Francisco Bay. 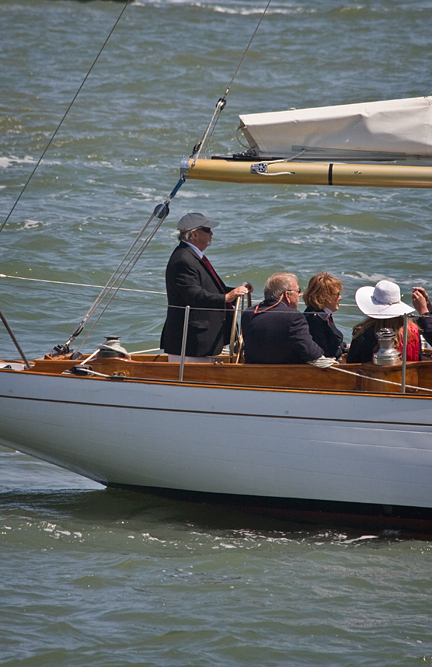 Sunday was Opening Day on the Bay, an opportunity to put on white pants, a blue blazer, and invite friends aboard your yacht to cruise and to toast good fortune. This tradition dates back to 1917 and is organized every year by the Pacific Inter-Club Yacht Association on the last Sunday in April. 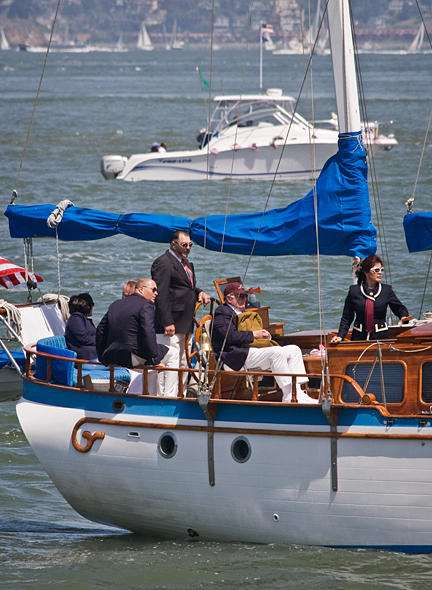 Opening Day on the Bay is kicked off with the blessing of the fleet at the Corinthian Yacht Club, the second oldest yacht club in America, followed by a parade of ships, many decorated and adorned with flapping flags and streamers.